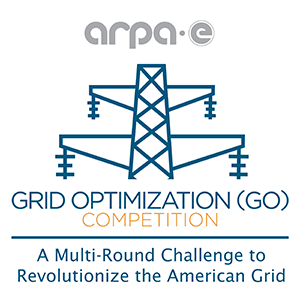 Supported by ARPA-E, PNNL led the effort to develop the competition platform and data sets that competing teams will use to submit new approaches for grid optimization. Energy Secretary Rick Perry announced the first-ever Grid Optimization—or GO—Competition on October 31, 2018 (news release, video). This competition gives researchers and industry the opportunity to develop and test power system optimization and control tools to accelerate new solutions for the nation’s power grid. The competition’s first challenge provides up to $4 million in prize money to be divided among the winners. For Challenge 1, the first of a series of challenges, competing teams will develop transformational ways to solve alternating current power flow optimization problems across a wide range of operating conditions. This is the central challenge underlying all planning and operations tools for America’s grid of the future. Pacific Northwest National Laboratory led the development of the competition platform, as well as providing evaluation hardware and software, the website, and datasets. PNNL also devised the problem formulation under ARPA-E guidance and will run the submitted algorithms for evaluation. Arizona State University contributed scoring expertise. The University of Wisconsin–Madison and Texas A&M University provided dataset expertise. The National Renewable Energy Laboratory validated the datasets. Utilities need new and improved optimization and control tools that help them operate power systems more cost-effectively and reliably. But it has been challenging to evaluate and compare new tools, because of the wide range of modeling assumptions and computational systems. The GO Competition is helping to overcome these obstacles. Results of the multi-round competition are expected to accelerate industry adoption of the new tools for grid optimization. PNNL got involved when ARPA-E officials first raised the idea of a competition a number of years ago. “It was a good fit because PNNL is internationally known for our grid-related research and innovation, as well as our information technology expertise,” said PNNL senior scientist Stephen Elbert, who led the effort at PNNL. Competitions have proven successful for unearthing new ideas in the public and private sectors. For the GO Competition, PNNL has the advantage of supercomputers on which to run the competitors’ algorithms. With an original data set for each team of 50 scenarios, some of which can take up to 45 minutes to run, there could be hundreds of algorithms to test and evaluate. “We will be able to run all of them at the same time, in hours rather than what could otherwise take months,” Elbert said. Elbert’s team developed the software that evaluates the submitted solutions and scores them. Challenge 1 began on November 1, 2018 and lasts for approximately 12 months. The final submissions, scoring, and announcement of the top ten winners are scheduled for fall 2019. Non-proprietary datasets created for the competition will be made publicly available after that. Companies can contact the entrants about licensing the intellectual property associated with the algorithms. The GO competition is open to anyone worldwide, except for federal entities. Competitors’ algorithms will be tested on complex, realistic power system models. Entrants will be scored on how well their algorithms perform compared with each other. At the time the competition opened, at least 20 U.S. teams and ten from other countries had already expressed interest in competing. All information is online. Entrants must register and teams must be approved by ARPA-E to get started. Future challenges in 2019 and 2020 are expected to build on the models used in Challenge 1. PNNL Research Team: Stephen Elbert, Feng Pan, Jesse Holzer, Olga Kuchar, Arun Veeramany, Nino Zuljevic, Xiaoyuan Fan, Xinda Ke, Andy Piatt, Philip Gackle, Shannon Osborn, and Tim Carlson.